#BlogElul and #Elulgram have inspired, informed, and offered a little bit of additional introspection across the internet for the last few years. This year, I wasn't sure it was going to happen. But a few requests...and I decided that I would give it a shot. 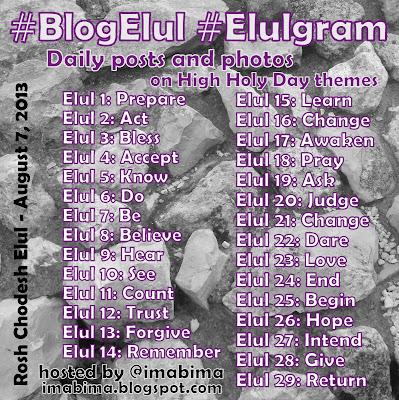 I'm not sure what this year's Elul will bring for me and my family. But I know that guiding my life by the Jewish calendar and its cycles continues to bring me comfort. So here we are, at Elul. But I'm not stopping only with blogging. Sure, it's called BlogElul but you can "blog" in any way you like. Maybe it's your daily Facebook update or tweet. Maybe it's your Instagram photos or your FourSquare checkins (can't wait to see how that would work out -- but please try!). Now we have Vine and other quick-video services -- perhaps a daily 6-second video? Maybe you don't want to do it daily. Maybe you just want to dip your toe into the experience, or just read (and share?) what others write. It's totally up to you. I tried to think broadly about the general themes of the High Holy Days, and they are totally open to your own interpretations. There are no rules, but feel free to collaborate, cross-post, share thoughts, etc. This year the words are simple verbs -- do with them as you will. 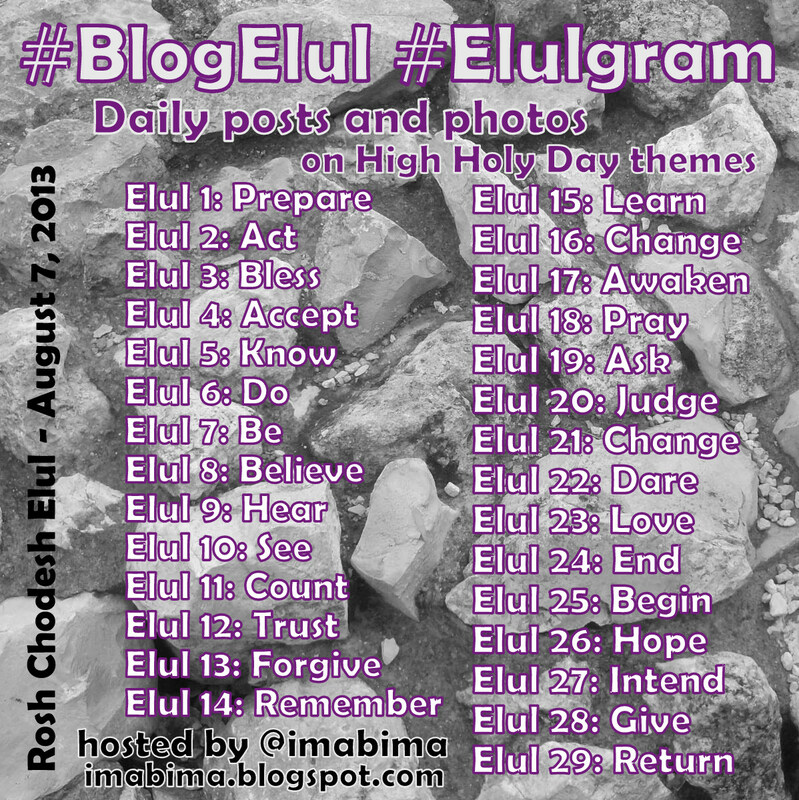 Elul begins on August 7th (it's always on time), so I wanted to give you a head start if you're going to pre-write some of your posts. I hope that our shared preparation for 5774 brings meaning and hope, inspiration and enlightenment for all of us.